Having earned a fearsome reputation for throwing riotous parties in their home city, Brussells' Bruxsel Jardin crew has decided to launch their own record label. 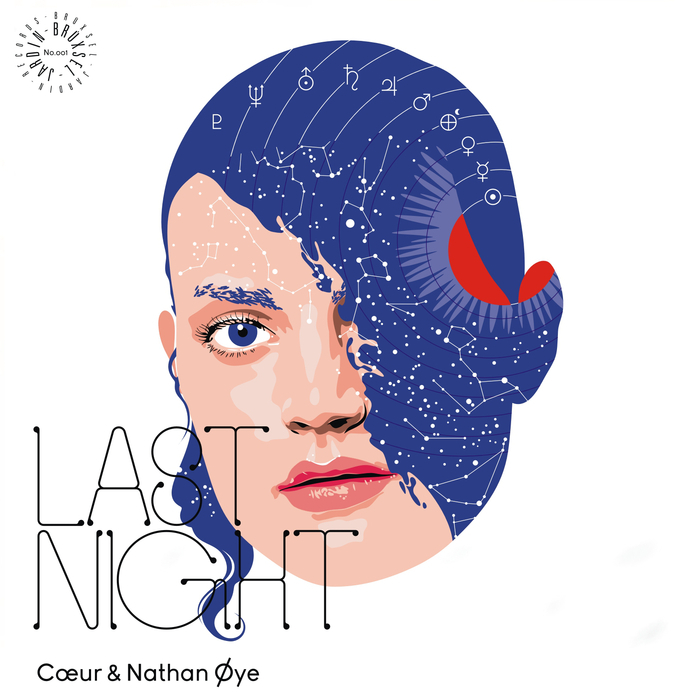 The first release is a collaborative affair, with Coeur joining resident DJ Nathan Oye to deliver two doses of Innervisions style deep, tech-tinged, atmospheric house. "Last Night" is woozy and melancholic, with twinkling, glassy-eyed pianos and skippy percussion being offset by ominous chords and clanking electronics. There's a looser feel about "Unumet", with icy - but strangely beautiful - electronic melodies stretching out over a shuffling tech-house groove. As debut releases go, the Last Night EP is rather impressive.